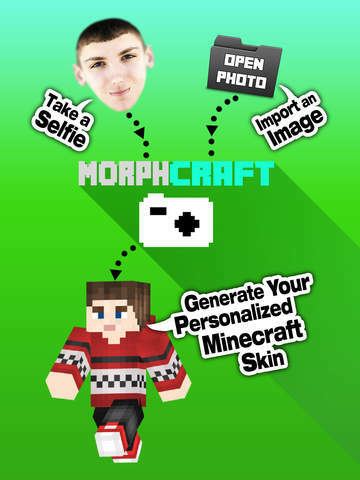 Created this app to be able to convert selfies or imported face pictures into a Minecraft skin on your phone. 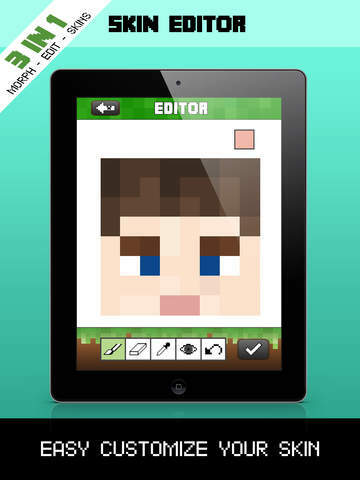 - Turn anyone into a Minecraft Skin! 2. 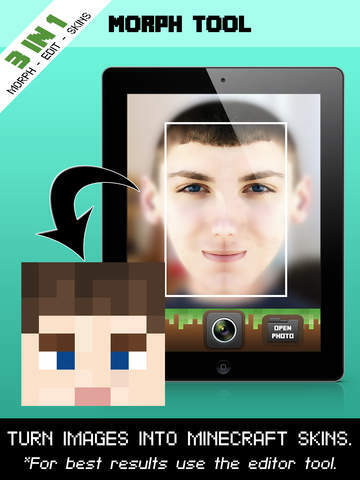 Edit: Fine tune your morphed Minecraft head in the Editor. Wow this is awesome! ...Even though I kind of like making my own 'fantasy' skins, this is so cool and wow, can't believe there's such thing that can do that! Wow. ...Some suggestions would be... maybe later on it could be a full body thing. You take a picture of your full body and then it will put the clothes and everything in. THAT would be awesome! 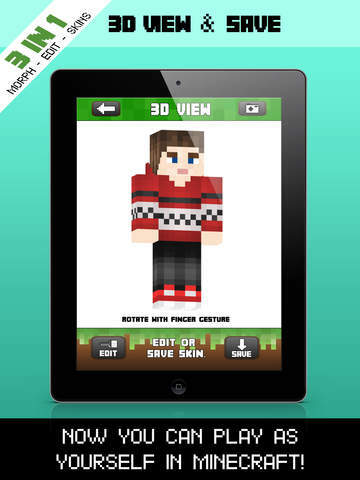 Or maybe you could just do parts of the body like buttons like SHIRT and if they click on it they can take a pic of their shirt or something and that will be the shirt on their skin.